When I was a teenager and I decided I wanted to be a journalist my role models were Kate Adie, Martin Bell and John Simpson – this was primarily because I was interested in being a television war correspondent and also because I admired their courage, their story telling techniques and their ability to find the stories that would otherwise never see the light of day. Obviously I realise now that most of the journalists I admired were white, which is fine, but there were two leading high-profile Caribbean journalists on TV at the time – Trevor McDonald who was born in Trinidad and Moira Stuart who had a Dominican mother and Barbadian father and was the first African-Caribbean female newsreader on British TV. I think I must have taken the presence of Trevor McDonald and Moira Stuart for granted and I certainly never thought much about the challenges they might have faced to get to where they were or anyone who may have gone before them. However if I’d considered it more carefully and known more about some of the obstacles facing black people trying to forge a career in the British media, I think my role models would have definitely included one particular person – Claudia Jones. 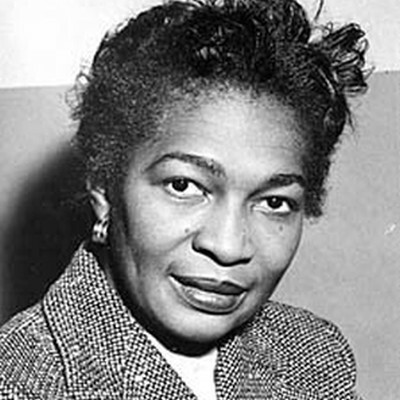 Claudia Jones was a ground breaking civil rights activist, feminist, political campaigner and journalist. She was born in Trinidad in 1915 and moved to America when she was eight years old. After a harsh, poor upbringing Claudia became politically active and joined the communist party. In 1955 she was deported from the US for her communist beliefs during the controversial McCarthy hearings and after serving time in prison she was given asylum in England. Claudia came to the UK when race relations between the West Indian community and white English people were at boiling point. 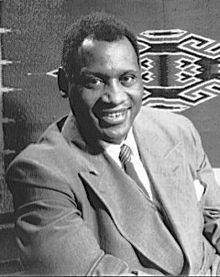 People from the Caribbean had been coming over in large numbers since the Windrush arrivals in 1948 and primarily at the invitation of the NHS and London Transport, but their presence was resented by some of the white population and they began to target black people on the street with verbal and physical abuse. Race discrimination was the norm and signs saying ‘No Irish, Blacks or dogs’ were commonplace in the windows of shops and rented accommodation. Claudia immediately recognised a need to inform and unite the black community in Britain and she realised the best way to do that was through a medium that would highlight the issues affecting them and provide a way for them to communicate with each other. So in 1958 she founded and edited the West Indian Gazette which was Britain’s first black newspaper. The West Indian Gazette, which was published weekly, covered race issues which were prevalent at the time, provided news from the Caribbean and encouraged input from young, black writers who were not able to breakthrough into mainstream media because of racism. The paper became an important tool to inform and educate the Afro-Caribbean community and it encouraged them to galvanise and unite against racism which was threatening to rob them of their right to seek a better life in the UK. A few months after launching the paper Claudia also conceptualised and organised, along with others, the first Notting Hill Carnival which was held in St Pancras Town Hall in January 1959. The event was developed in response to violent race riots in Notting Hill in 1958 and again the aim was to bring together the Afro-Caribbean community and enable them to celebrate their culture and positive aspects of West Indian life. Claudia died on Christmas Eve in 1964 at the age of 49. 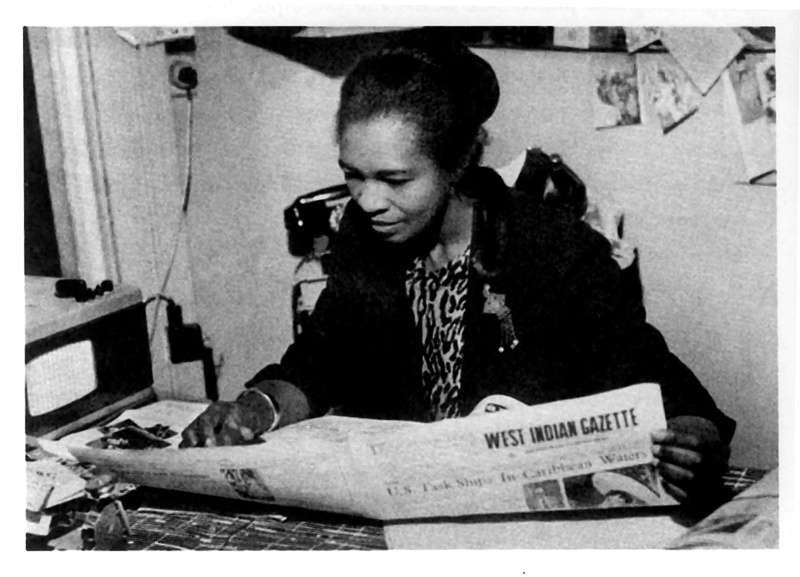 The West Indian Gazette, which had always struggled financially, only produced four more editions after her death but its legacy, and the legacy of Claudia Jones, can certainly be seen in the British media today. I certainly believe that I have benefited from Claudia’s determination and drive to contribute to the UK – she made sure black people in Britain were represented in the media, given a chance to hold the mic and make their voices heard.